Zoological parks are one of the best places of the city which provides some peace from the fast moving life of cities along with some education. India is a wild country and it is full of flora and fauna. It is the home of various wild animals and some of them are only found in the India. The zoos built worldwide on the idea of preserving endangered species of animals and do the study of the behaviour of these animals. Indira Gandhi Zoological Park of Visakhapatnam is among one of them. 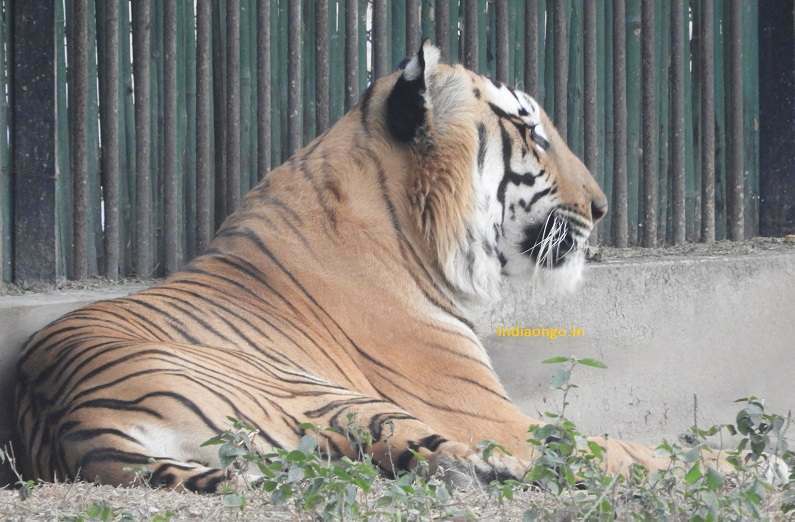 Vizag zoo is one of the most visited zoo of the city and it attracts thousands of visitors on regular basis. It is located in wide area of 625 acres and it’s area is attached with Kambalakonda Wildlife Sanctuary. It was opened in 1977 and it was named on Ex Prime Minister of India Mrs. Indira Gandhi. It has around 850 animals of 75 species. The main attraction inside the zoo includes Indian Tiger, lion, bear, panthers, hippopotamus, spotted deer, crocodile, gharial, tortoises, python, ostrich, giraffe, white tiger, etc. Newly opened butterfly park is among one of the main attractions. Timings of Visakhapatnam zoo are 9 AM to 5 PM everyday. Zoo closing day is Monday. The entry ticket price of zoo is affordable and it is 20 Rs per adult. The camera can be taken inside after paying a nominal charge. It is unique which allows visitors to drive their private cars in the park. Charges for the car is 200. Battery operated cars are also plying inside the zoological park for the convenience of visitors. Battery cart charges are 200 rows and they will cover the zoo in 90 minutes. Availability of battery vehicles is low and during weekends and holidays, it is hard to book the cars. Toy train is also running around the park and seats can be booked in nominal fee of 15 Rs. Purified drinking water outlets and toilets are available inside the park. A food joint is situated inside the park, however, it is not sufficient to cater the needs of this huge zoological park. Rain shelters, benches and dust bins are also provided inside the Vizag zoo. Taking cars inside the zoo is one of the biggest facility for the visitors. This park is located in the outskirts of the Vizag city near bay of Bengal. The railway station is 10 KM away from the zoo and the airport is 20 KM away. Visitors can be reached here via the city buses, private cabs, auto, etc. Going there via private car is the best option because the park is spread in a large area. Driving car inside the park will surely save lots of time and effort. Hot weather and days should be avoided and it should be visited only in pleasant days. Parent should bring their children also there and there is no restriction on photography.